Green garlic is much milder than mature garlic. 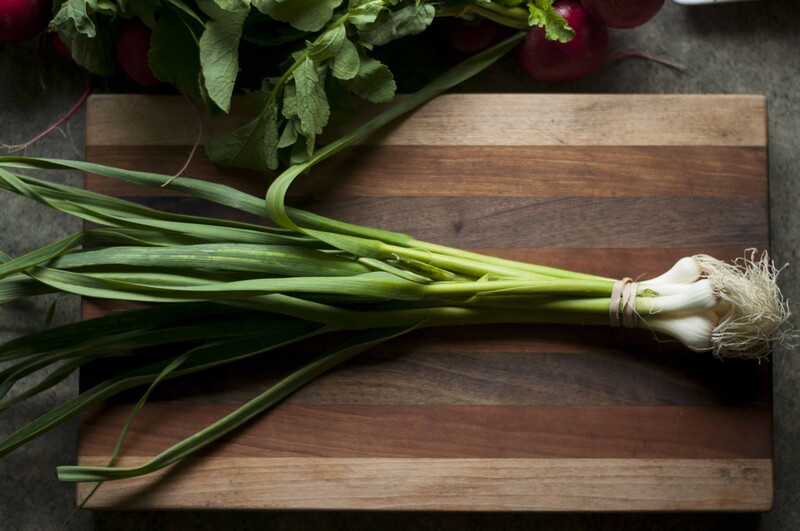 Green garlic — usually sold when farmers thin their garlic patches to make room for growing bulbs — is a somewhat rare early-summer treat. Milder than its full-grown counterpart, green garlic packs a nice punch without overwhelming everything else on the plate. At Winooski Farmers Market on Sunday, I found gorgeous green garlic at Monkton's Last Resort Farm stand, and some bodacious radishes from Lalumiere Farm, in Ferrisburgh. Paired with radish sticks, the garlic and greens made for a beautiful (and light) veggies-and-dip snack. 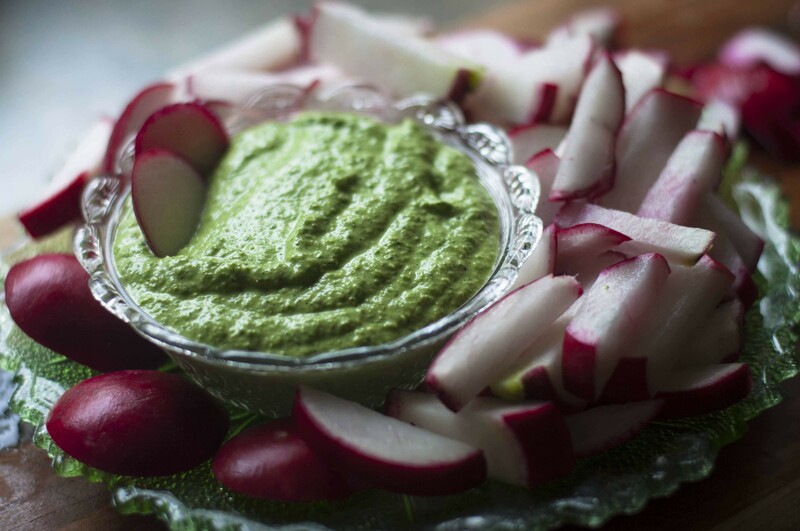 Radish sticks with green-garlic-and-radish-greens pesto: light and crisp for a hot summer's day. Wash the greens and pick over for yellowed or wilted leaves. Cut the greens and green garlic into 3-inch chunks. Place greens/garlic in food processor. Add lemon and process until the leaves are well pulverized. Add nuts, oils and cheese and blend until smooth. Add 1/2 a teaspoon salt, blend again and taste, adding another 1/2 teaspoon if necessary. Slice radish bulbs into sticks or spears and serve as a crudité. If that's too French for you, the pesto also works nicely over pasta or on bread.